A few months ago, a French journalist, Mr. Nicolas Cori, approached me with the request for an interview on the subject of taxation, to be published in the French monthly “Philosophie Magazine,” in the context of current “tax reform” debates in France. I agreed to the interview, it was conducted by email in English, Mr. Cori produced a French translation, my friend Dr. Nikolay Gertchev checked and corrected his translation, and I then sent the authorized translation to Mr. Cori. Since then, more than a month ago, and despite repeated promptings, I have not heard from Mr. Cori. I can only speculate as for the reasons of his silence. Most likely, he did not get permission from his superiors to publish the interview, and he does not possess the courtesy and courage to tell me. In any case, here is the original interview. The authorized French version is available on the translations-page of my website, www.hanshoppe.com, here. NC: Are taxes consistent with individual freedom and property rights? Is there a level of taxation where it is no more consistent? No. Taxes are never, at no level of taxation, consistent with individual freedom and property rights. Taxes are theft. The thieves – the state and its agents and allies – try their very best to conceal this fact, of course, but there is simply no way around it. Obviously, taxes are not normal, voluntary payments for goods and services, because you are not allowed to stop such payments if you are not satisfied with the product. You are not punished if you do no longer buy Renault cars or Chanel perfume, but you are thrown into jail if you stop paying for government schools or universities or for Mr. Sarkozy and his pomp. Nor is it possible to construe taxes as normal rent-payments, as they are made by a renter to his landlord. Because the French state is not the landlord of all of France and all Frenchmen. To be the landlord, the French state would have to be able to prove two things: first, that the state, and no one else, owns every inch of France, and second, that it has a rental contract with every single Frenchman concerning the use, and the price for this use, of its property. No state – not the French, not the German, not the US-American or any other state – can prove this. They have no documents to this effect and they cannot present any rental contract. Thus, there is only one conclusion: taxation is theft and robbery by which one segment of the population, the ruling class, enriches itself at the expense of another, the ruled. NC: Is it wrong not to pay taxes? No. Given that taxes are theft, i.e., a moral “wrong,” it cannot be wrong to refuse to pay thieves or to lie to them regarding one’s taxable income or assets. This does not mean that it is prudent or wise to do so and not to pay taxes – after all the state is the “coldest of all monsters,” as Nietzsche has put it, and it can ruin your life or even destroy you if you do not obey its commands. But there can be no question that it is just not to pay taxes. NC: How do we know that a tax is fair? Are there any criteria? Is a progressive tax better than a flat tax? We know that no tax is fair, whether progressive or flat and proportional. How can theft and robbery be fair? The “best” tax is always the lowest tax – yet even the lowest tax is still a tax. The “best,” because lowest tax is a head or poll tax, where every person pays the same absolute amount of taxes. Since even the poorest person must be able to pay this amount, such a tax must be low. But even a head tax is still theft, and there is nothing “fair” about it. A head tax does not treat everyone equally and installs “equality before the law.” For something happens with the tax revenue. The salaries of all state employees and dependents (like pensioners and welfare recipients) are paid out of tax revenue, for instance. Accordingly, state employees and dependents pay no taxes at all. Rather, their entire net-income (after payment of their head tax) comes out of tax-payments and they are thus (on net) tax-consumers living off income and wealth stolen from others: the tax-producers. What is fair about one group of people living parasitically on, and at the expense of, another group of people? NC: Do all philosophers agree? No, they don’t. But that is hardly surprising. Almost all professional philosophers nowadays are tax-consumers. They do not produce any goods or services that they sell on the market to voluntarily buying or not-buying philosophy-consumers. As a matter of fact, as judged by actual consumer demand, the work of most contemporary philosophers must be considered worthless. Rather: Nearly all philosophers today are paid out of taxes. They live off money stolen or confiscated from others. If your livelihood depends on taxes you will likely not oppose the institution of taxation on principal grounds. Of course this is not necessarily the case. Our “consciousness” is not determined by our “Sein,” a la Marx. However, any such opposition is not very likely. Indeed, as most “intellectuals,” philosophers typically suffer from an over-inflated ego. They believe to do work of great importance and resent the fact that “society” does not compensate them accordingly. Hence, if the issue of taxation is not simply ignored by them, philosophers have been at the forefront of coming up with tortured attempts of justifying taxes – of masquerading theft as something “good” – and in particular their own, tax-funded philosopher salaries. NC: Should philosophers consider the economic efficiency of taxation methods, simultaneously with its ethical values? But as I already indicated: the philosophy profession simply has not done its job. Philosophers give plenty of advice about what to do or not to do, of course, but their advice carries little or no intellectual weight. In almost all cases, it is mere opinion: expression of personal tastes, nothing more. If you implore about the “theory of justice,” from which their recommendations supposedly follow, they have no such theory. They can offer only some ad-hoc collection of personal value judgments, which typically does not even fulfill the requirement of internal consistency. Any theory of justice worth its salt must recognize first the most fundamental fact of human life: the scarcity of goods, i.e., the absence of super-abundance. For only because of scarcity is it possible that people can have conflicts which each other: I want to do x with a given, scarce resource, and you want to do y with the very same resource. Without conflicts, there would be no need for rules or norms; and the purpose of norms then is conflict-avoidance. In the absence of a pre-stabilized harmony of all interests, conflicts can be avoided only, if all scarce resources are owned privately, i.e., by one identifiable owner rather than, and at the exclusion of, another. And in order to avoid conflict from the beginning of mankind on, so to speak, any theory of justice must begin with a norm regulating the first, original appropriation of scarce resources as private property. Most of contemporary (political) philosophy seems to be unaware of any of this. Indeed, I often have the impression that not even the fact of scarcity itself is recognized or fully comprehended. NC: What, then, should be the goal of tax policy? Redistribution? Equality? To diminish poverty? One last remark on the economic effects of taxation: Every tax is a redistribution of wealth and income. Wealth and income is forcibly taken from their owners and producers and transferred to people who did not own this wealth and did not produce this income. The future accumulation of wealth and the production of income are thus discouraged and the confiscation and consumption of existing wealth and income is encouraged. As a result, society will be poorer. And as for the effect of the eternally popular, egalitarian proposal of taxing the “rich” to give to the “poor” in particular: Such a scheme does not reduce or alleviate poverty but, quite to the contrary, it increases poverty. It reduces the incentive to stay or become rich and be productive, and it increases the incentive to stay or become poor and be un-productive. NC: Should rich people be treated differently than poor people? 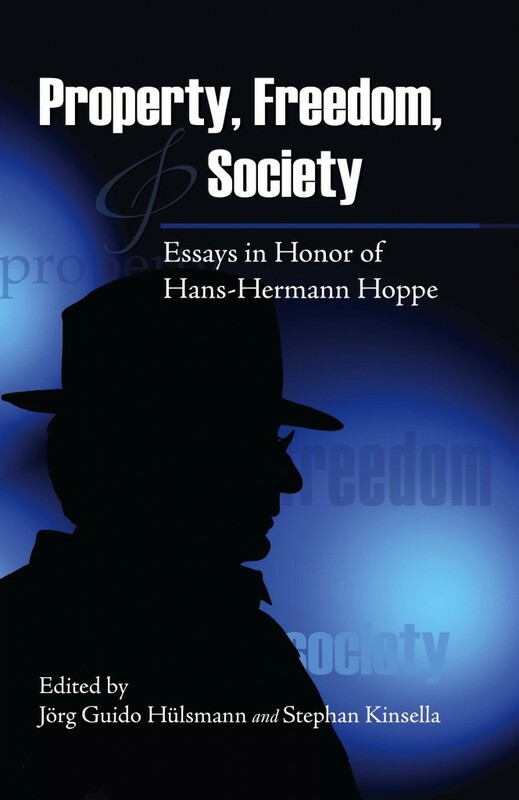 Congratulations, Mr. Hoppe – another slam dunk! No wonder you have the French quaking in their boots and cowering. This was great. Too bad they didn’t dare publish it. Thank you Professor for this excellent resumé of your concept on taxation. Regarding the “non imprimatur” of the French Philosophie magazine, it is no surprise, as it comes from an historically “par excellence” statist political economy (to this day)….